SAE pulls the plug – what are the alternatives? 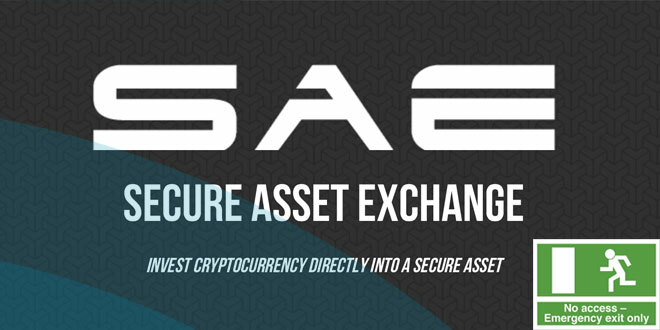 The Secure Asset Exchange (SAE) website has been a rabbit hole to the Nxt Asset Exchange for many people, as a secure web client which allowed you to trade on AE without downloading the full NRS Client. SAE has now decided to close its services. If you are using SAE, you will now have to choose a different approach to AE trading. Due to recent increases in maintenance costs and the limited resources/time of any startup that needs to prioritize its initiatives, Secure Asset Exchange will no longer be available as of January 21st, 2016 (NXT block 621,000); please plan accordingly. We are deeply grateful to all of our users and supporters up to this point and look forward to focusing our energy on making the next generation of great blockchain-based applications, which our now global society can truly benefit from. Your ability to use your NXT or any of your assets will not be affected by our availability because your account and all of its assets can be accessed through the official NXT client. To access your account using the password created on trade.secureae.com, simply combine your username with your secret phrase, with no spaces between the two; this will create the password to your NXT account for the official client. For example, if your username is “joe” and your secret phrase is “joe likes coffee” then your account’s password for the official NXT client will be “joejoe likes coffee”. Please make sure to take capitalization and spacing into account, they do matter. If you have any questions, contact SAE at support@secureae.com. The official Nxt Reference Software Client is your safest and most obvious partner through this – if you feel ready to download the Nxt blockchain. NRS has ALL the latest Nxt features, it is updated (and uploaded) by the Nxt Core developers themselves, it runs locally on your computer and it supports forging – turning your pc into a Nxt node which supports the Nxt network and earns you forging fees. Running the NRS is highly recommended. You don’t have to be a geek or an old timer to do this. The MyNxt web wallet is a client-side trustless wallet, which is very similar to the leading Bitcoin online wallet Blockchain.info. The main objective is to make it dead-easy for new users to join Nxt without requiring downloads, java installs, or waiting for the download of the Nxt blockchain. MyNxt.info was founded by long time Nxt supporter abuelau, but is now run by Tosch and officially owned by SuperNET. Registering a wallet is simple, go to https://wallet.mynxt.info. MyNxt runs perfectly on iPhones, Android or desktop browsers. The MyNxt plugin system offers a gateway to the Nxt Asset Exchange. Accessing NRS online is easy. Check out http://mynxtportal.info/ui/supernet.html. This is the web SuperNET multiwallet, if you want to access Nxt NRS through this, just sign in using your NXT account number or passphrase, hit the “burger” in the upper right corner and choose “Advanced” from the menu. Doing this will bring you to an online version of the NRS. NXTER.ORG would like to thank the team behind SAE for maintaining a great service, which has helped so many ‘non-techie’ people become ‘Nxters’. May you rest in peace – and your legacy rise like a Phoenix.